Burlington School Board member David Kirk did not violate board policy with posts on his Facebook page that many city residents said were racially insensitive and belittling of women and immigrants. That's the finding of a legal review of the posts, according to school board vice chair Stephanie Seguino. The decision was announced Thursday night at a board meeting during which the board also released a resolution denouncing and disavowing Kirk's posts. Kirk did not immediately respond to a request seeking comment and has said little publicly since issuing an apology for the posts last month. The board resolution stated that the Facebook reposting "of racially/gender/and ethnically offensive materials by a member of this board is at fundamental variance with the standards of conduct and example desired by the board for its members." The report, prepared by board legal counsel Joe McNeil, said that the "offensive nature of the postings has not been manifested in the official interactions by the board member with the administration and other board members," but that the "bad example set by the the postings/repostings ... should not be underestimated or condoned," according to the resolution. Kirk, who represents Ward 7 in the New North End, had been asked by superintendent of schools Yaw Obeng not to attend board meetings until the review was complete. He was not at Thursday's meeting, according to Seguino, who issued a news release on behalf of the board Friday and spoke with Seven Days. About 25 people attended the meeting at the Edmunds Middle School cafeteria, according to Seguino, including a Lyman C. Hunt Middle School student who presented a poster signed by classmates who objected to Kirk's Facebook posts. Kirk has agreed to attend a board training in December that will include discussion of appropriate social media use, Seguino said. Board members should hold themselves to a high standard of conduct, Seguino said. She also said the board was very "moved" by a petition signed by hundreds of people calling on Kirk to resign. Kirk's term runs until 2017. 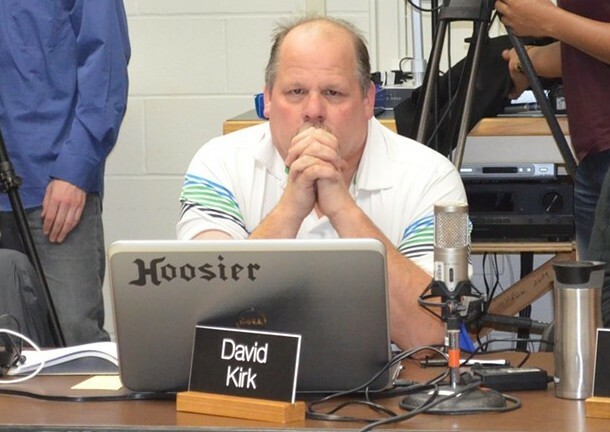 The board has no legal power to kick Kirk out of his elected school board seat, and ultimately the review concluded that his posts did not meet the legal criteria for censure. Seguino said she believes a restorative rather punitive approach could offer Kirk the best opportunity for learning and making amends. Her hope is to "offer a different way to approach this, which is to condemn the actions but to offer an opportunity for a person to grow and develop and learn from this, and for all of us to learn from it."